Skye Gravestones | Marion Ann Murchison. 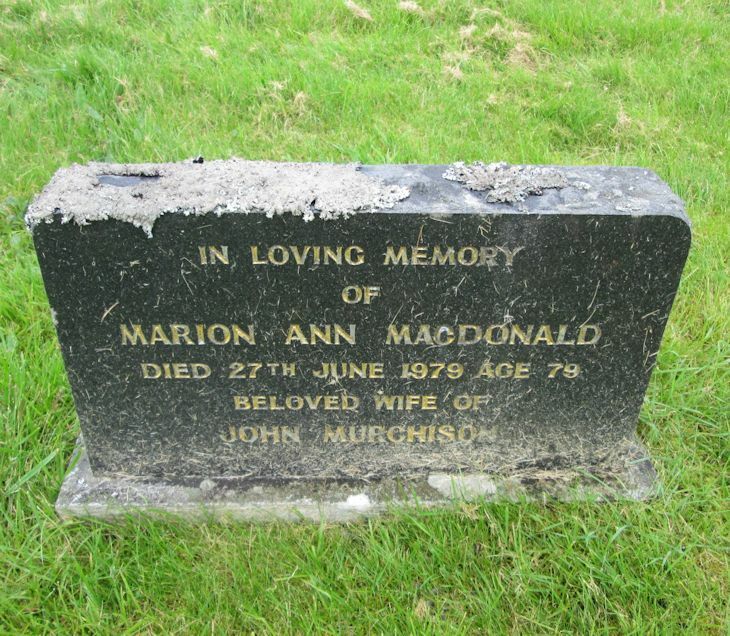 In loving memory/of/MARION ANN MACDONALD/died 27th June 1979 age 79/beloved wife of/JOHN MURCHISON. Picture Added on 28 July 2014.